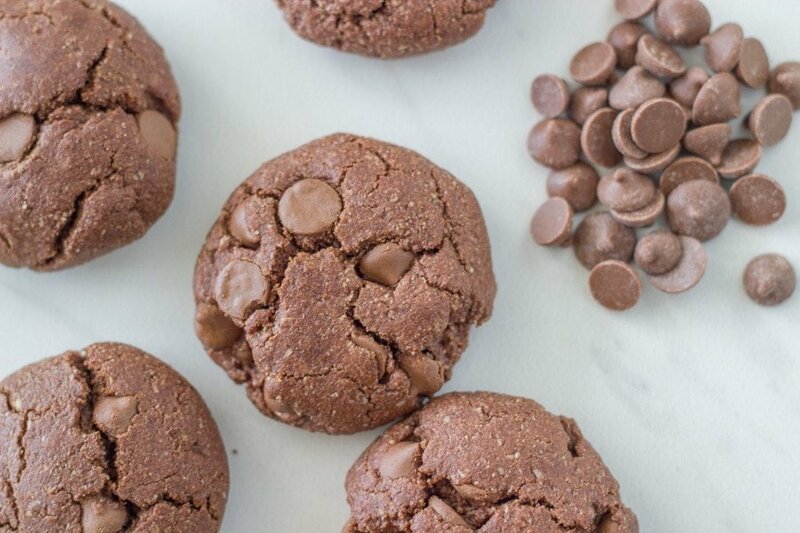 These gluten free double chocolate chip cookies are full of flavour and tasty as. Not only are they gluten free, but they are also paleo, dairy free and vegan. You’re welcome!! 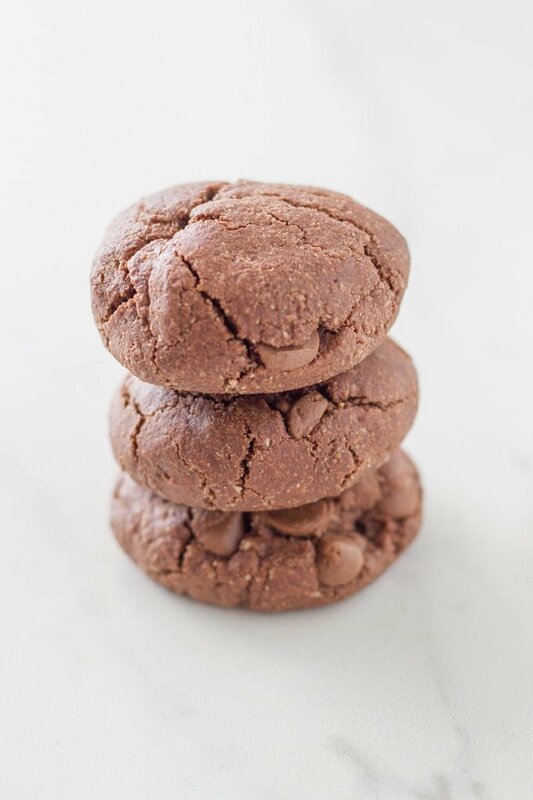 I love creating gluten free cookie recipes, especially ones that my kids absolutely adore and these double chocolate chip cookies are no exception! They are simply amazing! This is also my first recipe for 2019 plus tomorrow is my birthday, so what better way to start the year and to celebrate my birthday than by sharing this freaking awesome cookie recipe. 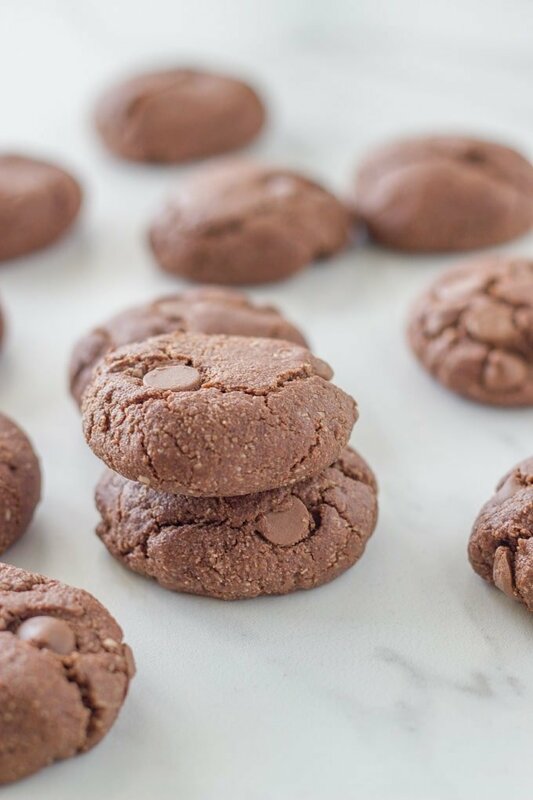 These cookies are adapted from the tastiest gluten free chocolate chip cookies recipe that I shared last year. 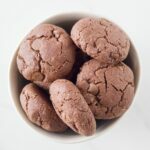 They are just as easy to prepare with only a couple of minor adjustments and the addition of raw cacao powder. Now onto the chocolate chips, you can use any type you want to suit your dietary requirements. There are plenty of dairy free options available these days if you are dairy free or vegan. Making these cookies is pretty simple really. First you add the dry ingredients to medium sized bowl and make sure you mix really well so that there are no clumps. Then whisk together the coconut oil and maple syrup in another bowl and then add to the dry ingredients and mix through. Then fold through your chocolate chips. Finally, use a soup spoon to scoop out the dough and using using slightly damp hands, shape the cookies into 12 balls. I like to flatten them slightly with the back of the spoon before placing into the pre-heated oven (170 degrees celcius/340 degrees fahrenheit) for 20 minutes. Then allow the cookies to cool for 20 minutes on the baking tray, before removing to a wire rack to cool down further. Well, they are pretty damn tasty when warm, so that last bit is up to you!!!!! 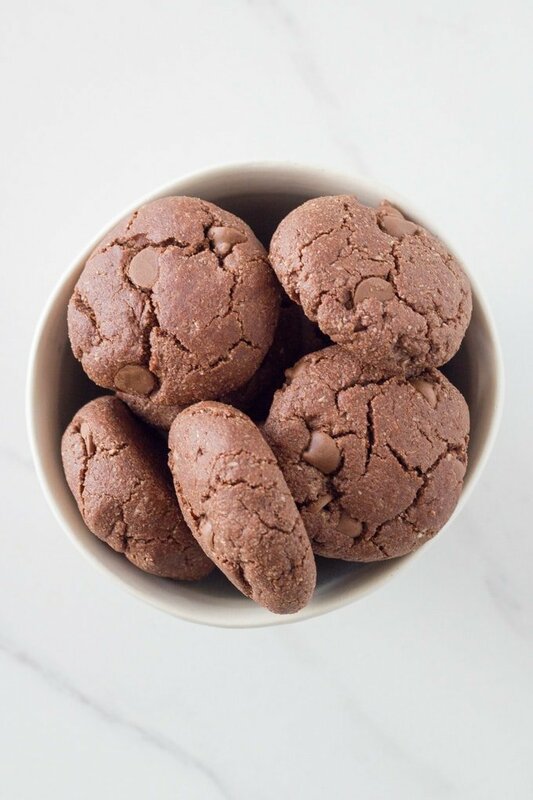 These gluten free double chocolate chip cookies are full of flavour and tasty as. Not only are they gluten free, but they are also paleo, dairy free and vegan. Add almond meal, tapioca/arrowroot, baking powder and raw cacao powder to a medium size bowl, mixing well, ensuring that there no clumps. Whisk together the coconut oil and maple syrup in another bowl, then add to the dry mixture, mixing until you form a crumbly dough. Then add the chocolate chips, folding through the mixture. Use a soup spoon to scoop out mounds of the cookie dough. Use slightly damp hands to shape the cookies into 12 balls and placed on a lined baking tray. Allow to cool for 20 minutes on the baking tray before placing onto a wire rack to cool further.